Wearing white before Labor Day, this week in pictures. 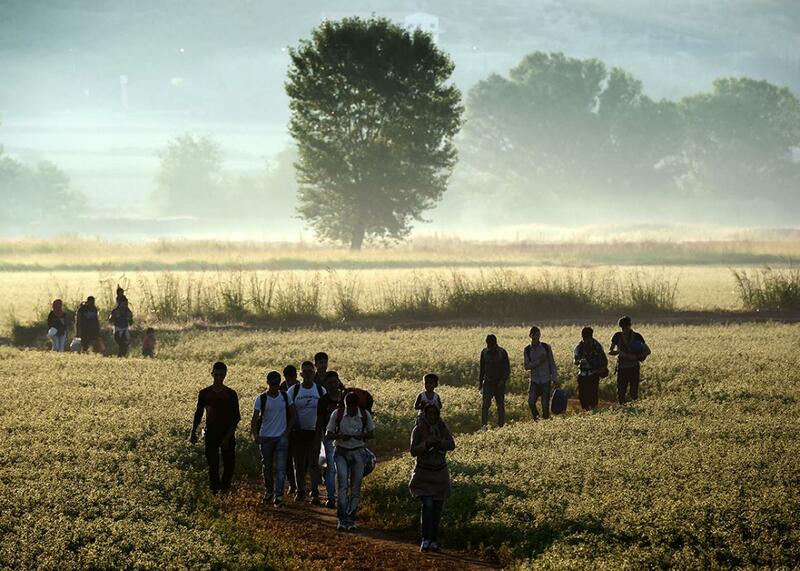 Migrants walk through a field to cross the border from Greece to Macedonia near the Greek village of Idomeni on Aug. 29, 2015. The EU is grappling with an unprecedented influx of people fleeing war, repression, and poverty in what the bloc has described as its worst refugee crisis in 50 years. Maidens from South Africa sing and dance during the first day of the annual royal reed dance at the Ludzidzini Royal Palace on Aug. 30, 2015, in Lobamba, Swaziland. 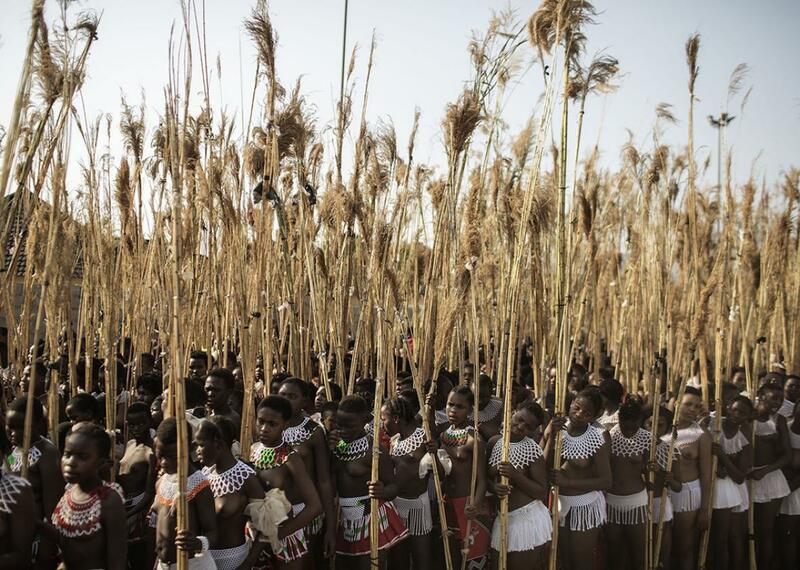 Umhlanga, or Reed Dance ceremony, is an annual Swazi cultural event where tens of thousands of Swazi girls travel from the various chiefdoms to the Ludzidzini Royal Village to participate in the eight-day event. A Chinese couple poses during a pre-wedding photoshoot on the Pont de l’Archevêché in front of the Notre-Dame Cathedral in Paris on Aug. 28, 2015. As young Chinese couples become wealthier, they take abroad the tradition of taking their wedding photos days before they are married, rather than on their wedding day. 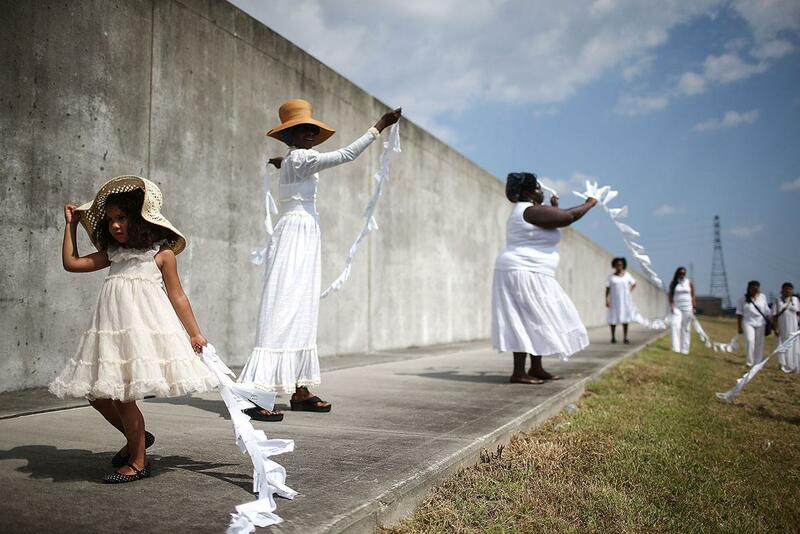 Performers from Gallery of the Streets dance along the repaired levee wall in the Lower Ninth Ward in New Orleans during a ceremony marking the 10th anniversary of Hurricane Katrina on Aug. 29, 2015. 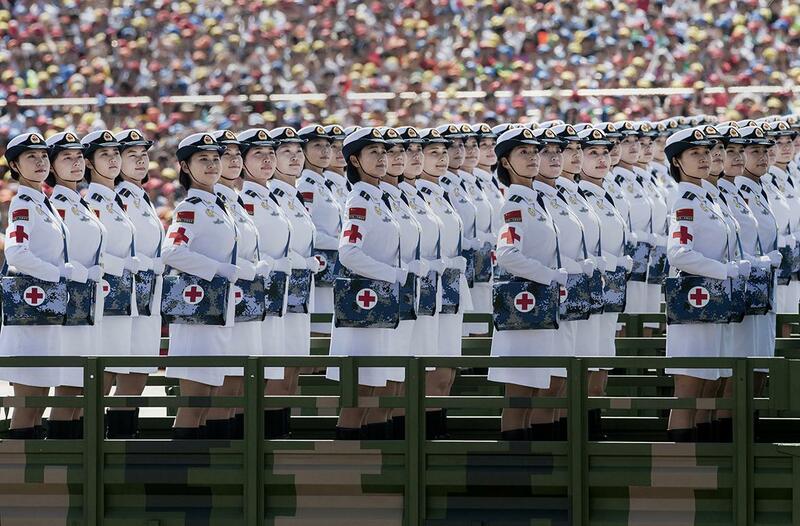 Female Chinese soldiers of the medical corps ride in trucks as they pass in front of Tiananmen Square and the Forbidden City during a military parade on Sept. 3, 2015, in Beijing. China is marking the 70th anniversary of the end of World War II and its role in defeating Japan with a new national holiday and a military parade. 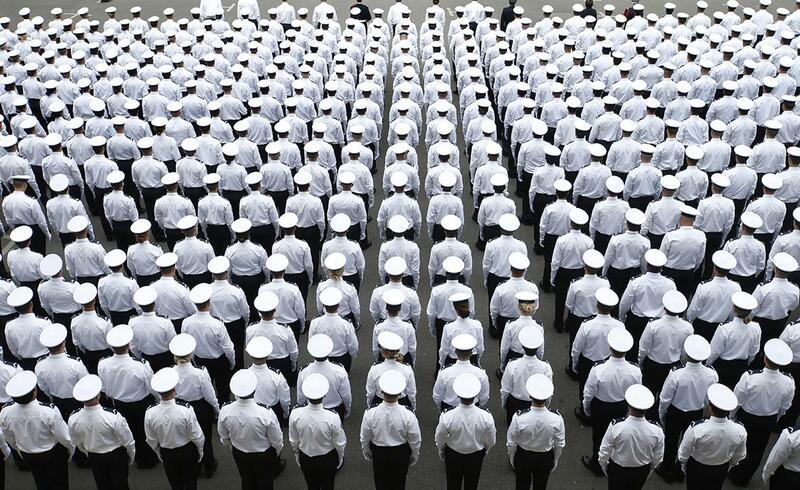 More than 700 new French Police officers stand at attention during a ceremony at the Police Prefecture in Paris, on Sept. 2, 2015. 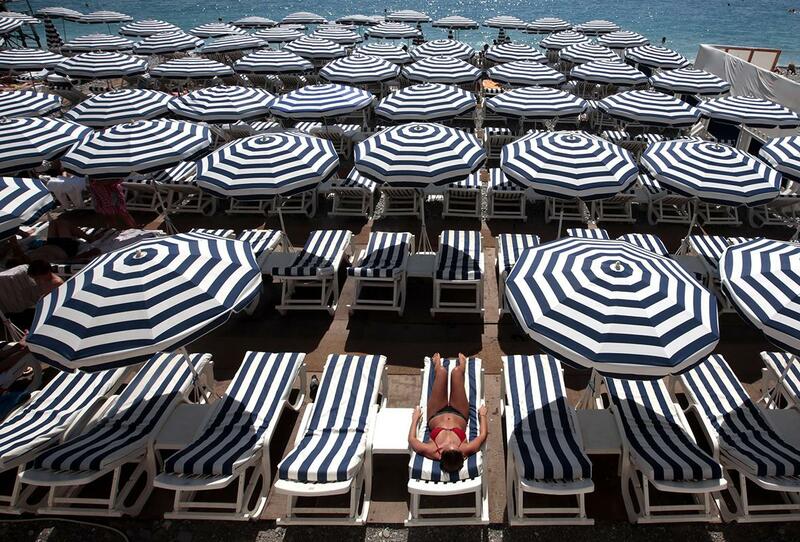 A woman sunbathes on a warm summer day on a private beach in Nice, France, on Aug. 31, 2015. 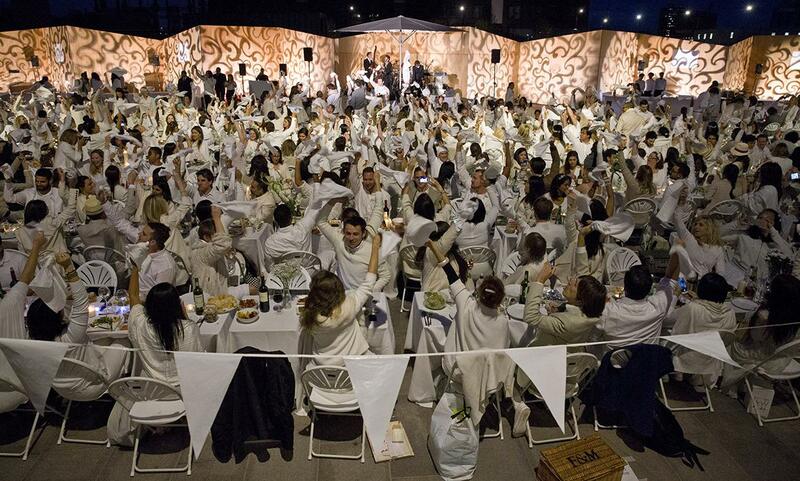 Participants dressed all in white wave their napkins to signal the beginning of the meal as they attend a Dîner en Blanc, or Dinner in White, in the King’s Cross area of London on Sept. 3, 2015. The yearly tradition dates back to an event 27 years ago in Paris at which organizers invited guests to all wear white so they could be easily spotted in a park. This year, about 70 cities in more than 35 countries have or will see a Dîner en blanc, from Paris to Johnannesburg and from Montréal to Tokyo. 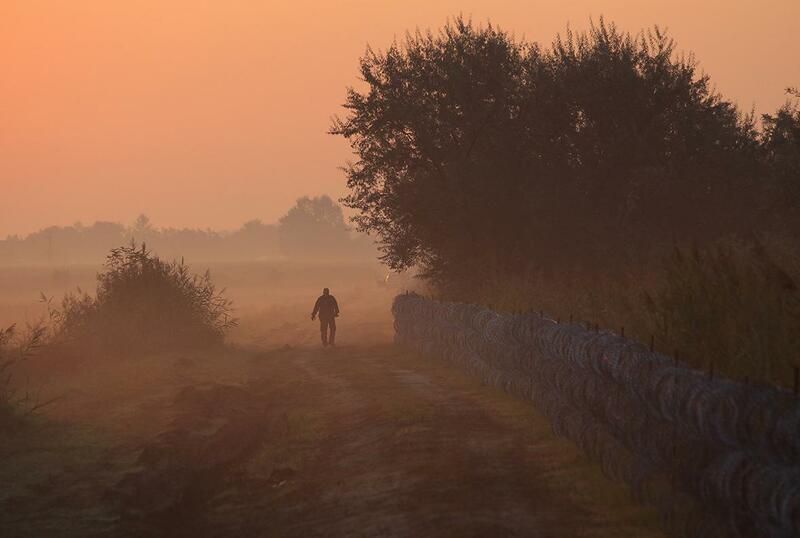 A Hungarian police officer patrols the Hungarian border with Serbia, at early morning near Röszke, Hungary, on Aug. 29, 2015. About 100,000 migrants, many of them from Syria and other conflict zones in the Middle East, have taken the Balkan route into Europe this year, heading via Serbia for Hungary and Europe’s Schengen zone of passport-free travel. 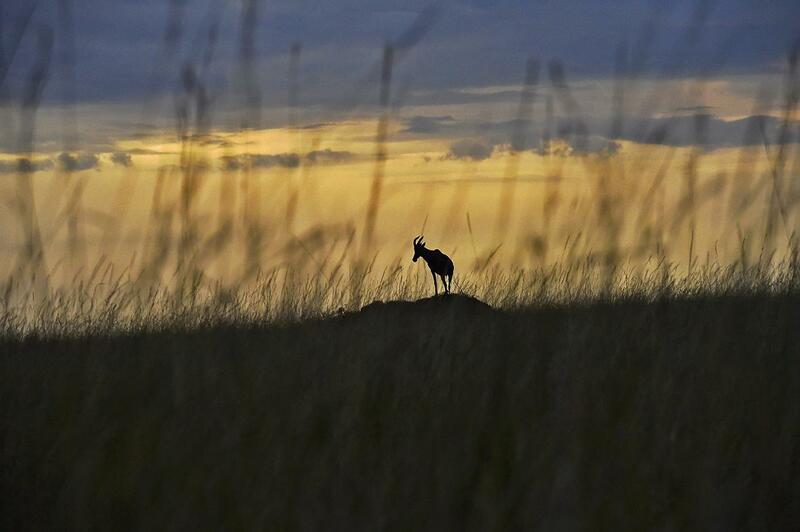 A picture taken on Sept. 3, 2015, shows a hartebeest in Masai Mara, Kenya. 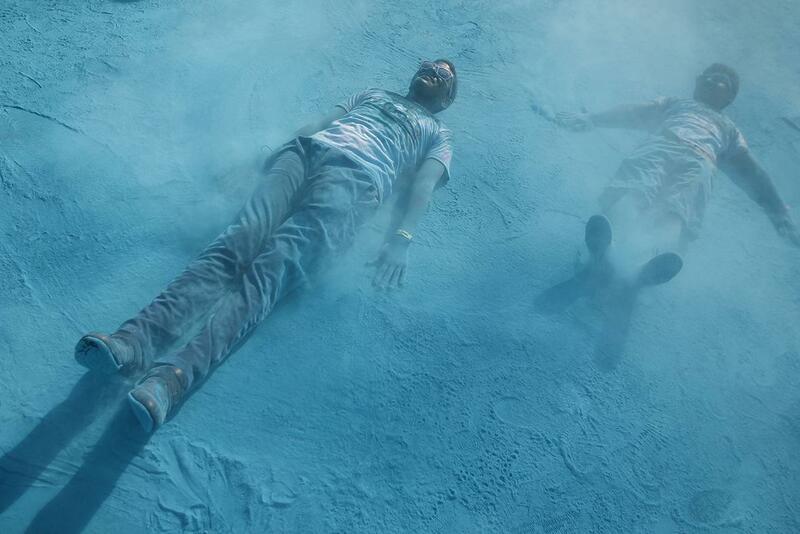 Participants play on colored powder while taking part in the Color Run race in Tegucigalpa, Honduras, on Aug. 30, 2015. 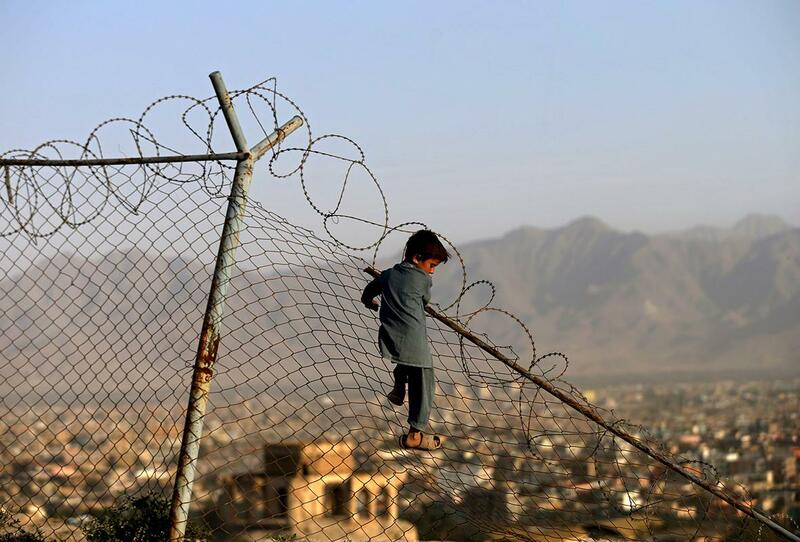 A boy climbs onto a fence while playing in Kabul, Afghanistan, on Sept. 3, 2015. 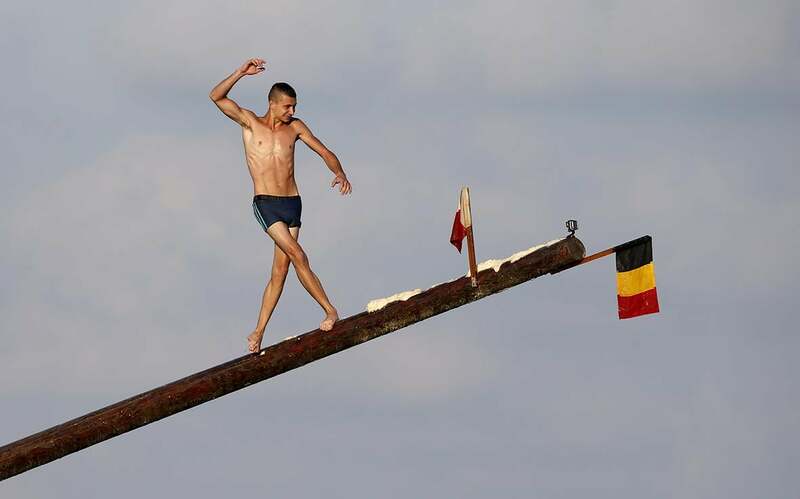 A competitor balances on the “gostra,” a pole covered in grease, during the celebrations for the religious feast of St. Julian, patron of the town of St. Julian’s, outside Valletta, Malta, on Aug. 30, 2015. In the traditional gostra, a game stretching back to the Middle Ages, young men, women, and children have to make their way to the top of a pole and try to uproot one of the flags to win prizes. From May to September in Malta, there is hardly any weekend when a town or a village is not celebrating the feast of its patron saint or other saints revered in different churches. A Malaysian student rests after finishing the parade during celebrations of 58th National Day at Merdeka Square on Aug. 31, 2015, in Kuala Lumpur, Malaysia. 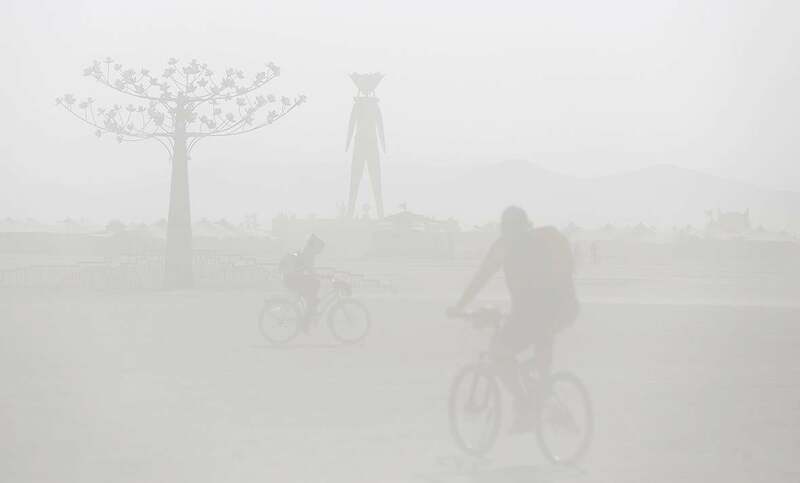 Dust blows across the playa during the Burning Man 2015 Carnival of Mirrors arts and music festival in the Black Rock Desert of Nevada, on Sept. 1, 2015.